If you've been lucky enough to skip past the disk resizing section on the previous page you're in for a fairly easy ride. Firstly you'll need to make sure that your Notebook is switched off, the caddified-SSD drive is plugged into one of you USB ports and the CloneZilla CD is inserted in the drive. When switching your Notebook on the chances are that it will completely ignore the CD and try to boot from the Hard Disk. If this happens refer to your Notebook's user manual on how to change the boot order, or have a quick read of the 3rd and 4th paragraphs on the previous page for some basic guidance. 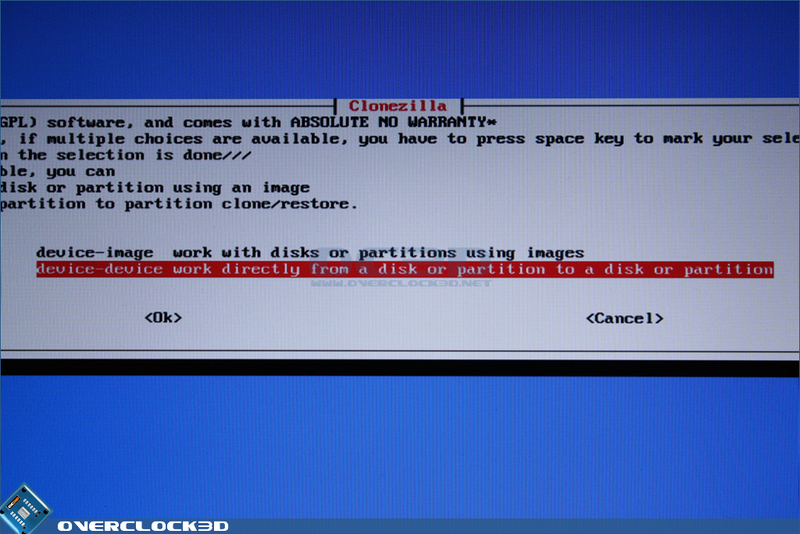 The first screen you'll see once your Notebook has successfully booted from the CD is the CloneZilla boot menu. 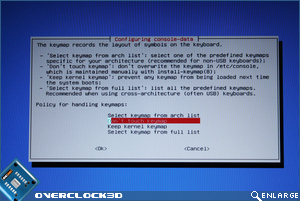 Simply press enter on the default option or leave it to automatically boot after 30 seconds. 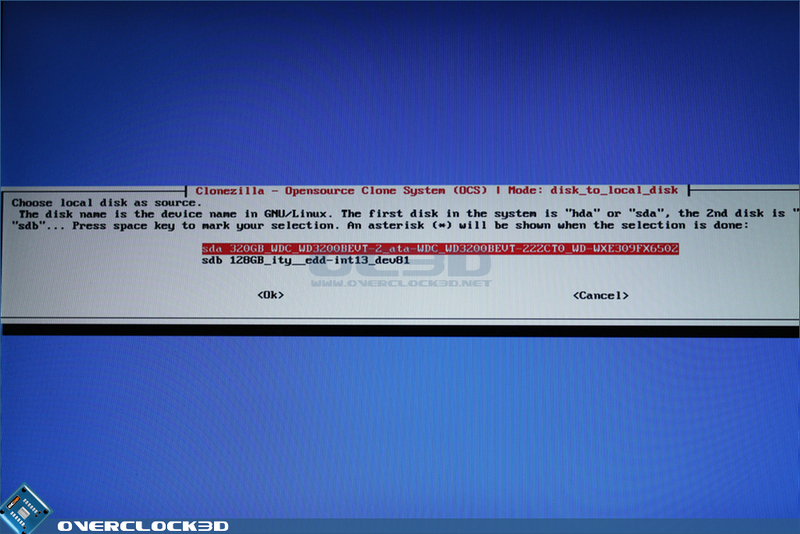 While the system is booting and detecting your hardware you'll see a lot of white text scrolling down the screen. 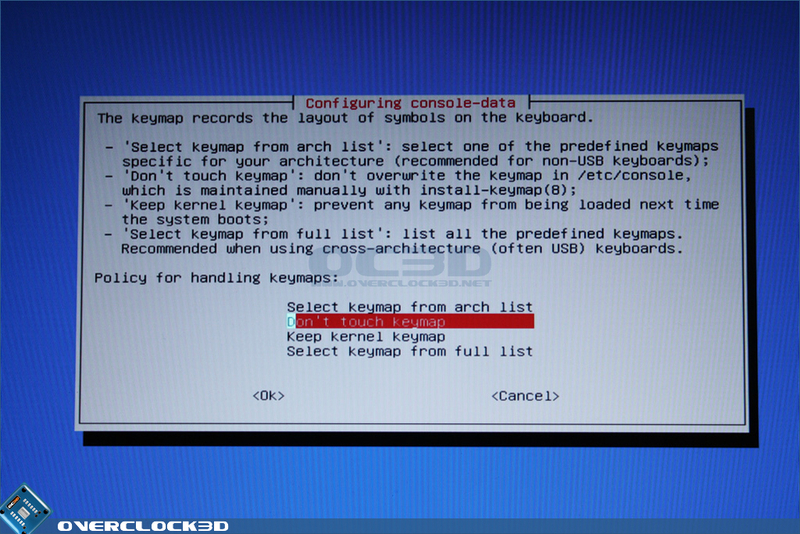 Once the system has finished booting you'll be presented with is the language selection and keyboard layout options. For both of these screens its safe to accept the default options (unless you have some specific requirements), but if you're reading this review I can pretty much safely assume you'll also be able to read the basic CloneZilla prompts. 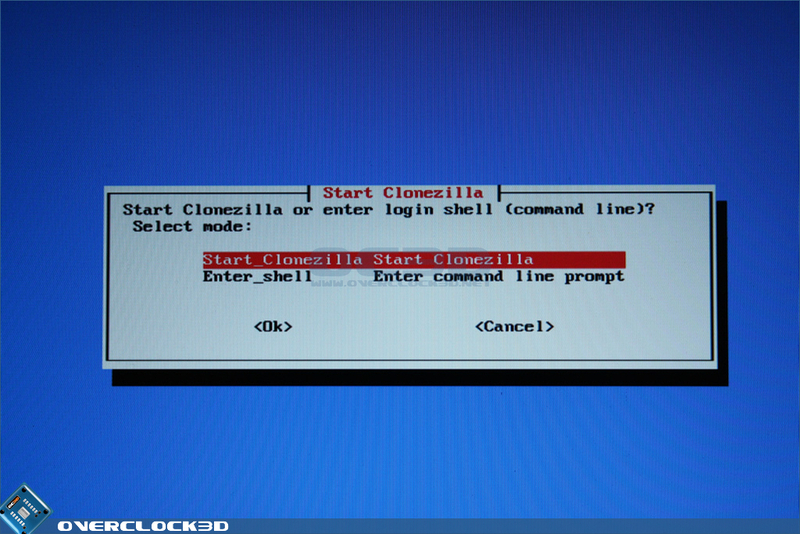 On the next screen CloneZilla will ask if you want to start CloneZilla. No prizes for guessing what you select here! 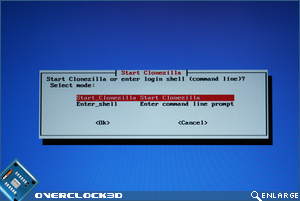 CloneZilla offers two methods of cloning:- to an image file, or direct to another device. 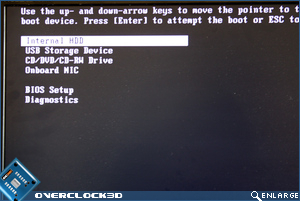 We're going to be cloning directly from the Notebook Hard Disk to the SSD drive, so on the following screen (above-right) we need to select the device-device option. Once again some fairly simple options. We want to go for the 'Beginner' mode (as the advanced options aren't of any use to us) and when prompted we want to choose disk_to_local_disk as the cloning method as performing unicast and multicast cloning over the network is way way way beyond the scope of what we're doing here! Next up it's time to select the source and target drives for the cloning process. The source drive is the drive that you want to copy the existing data from (your old Hard Disk), whereas the destination drive is where you want to copy the files to (your new SSD). Get things round the wrong way on this screen and you'll end up with two blank drives SO BE CAREFUL. 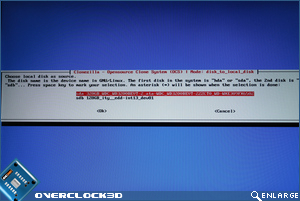 In fact: Neither myself or Overclock3D can be held responsible for any loss of data, so BACKUP, BACK UP, BACK-UP!!! CloneZilla will also give you give you suitable warning about what you're about to do. If you're confident that you selected the source and destination drives correctly and you've got a backup of all of your important data then just press 'y' and hit Return. 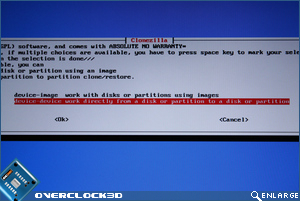 After a few seconds the Partclone screen (above-right) will be displayed along with an estimate of how long the clone process will take. I like the graph readings at the end. Nice one there Jimbo.... Very nice write up and not even a single typo that I could see ..
Tis good to see something a little different in an article on occasion.